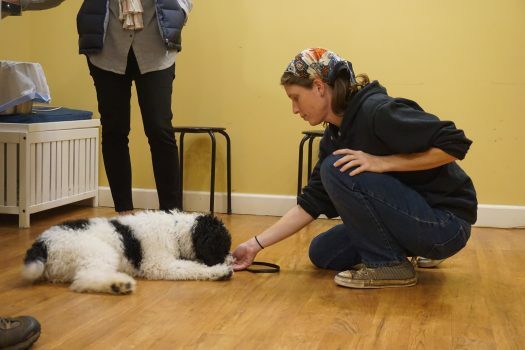 Emily has always had a passion for animals, and wants to ensure all owners have a chance at achieving clear, two-way communication with their dogs using positive reinforcement techniques. 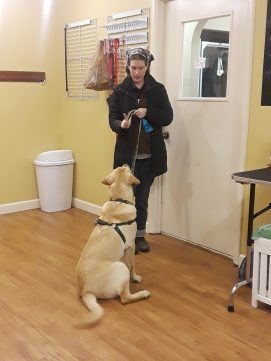 She believes that each training session is just as much teaching the person as it is the dog, and wants to help each owner form a partnership of confidence and communication with their pets. 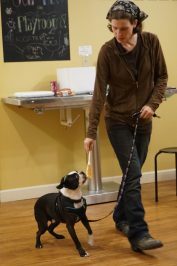 She is a firm believer that the proper treats, toys and timing will work wonders on dogs of all ages and types. 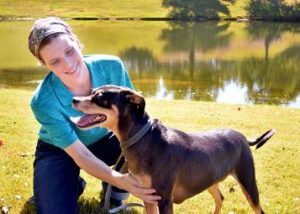 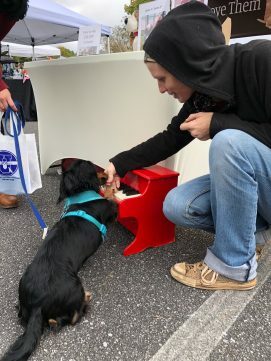 Emily received her undergraduate degree in Biology from the University of Montevallo in 2013, and has been taking her own dogs to classes taught by Rebecca since 2007. 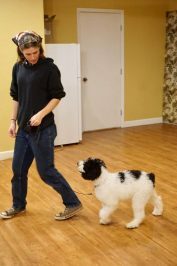 She has been studying to be a trainer under Rebecca for about 2 years now and is working toward certification. 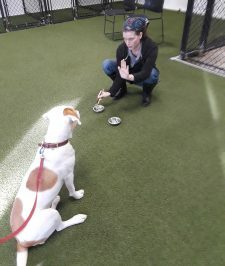 She believes the best kind of reinforcement is fun, clear and consistent, and fully subscribes to training using only positive techniques. 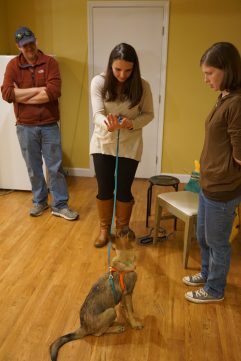 At home Emily has her husband Shannon, pack of five dogs – Lucius, Pumpkin, Little Bit, Tiberius, and Brunneis – and her cat, Cabbit, to keep her busy. 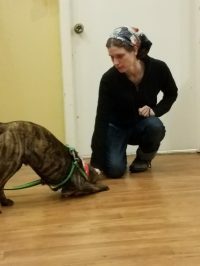 She loves playing fetch with Lucius and Brunneis, and is always trying to keep squirrely Tiberius out of the now defunct and dug-up garden bed. 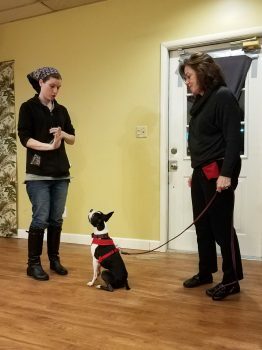 Emily teaches classes at our Chelsea and Vestavia locations.